Location, location, location and remodeled! 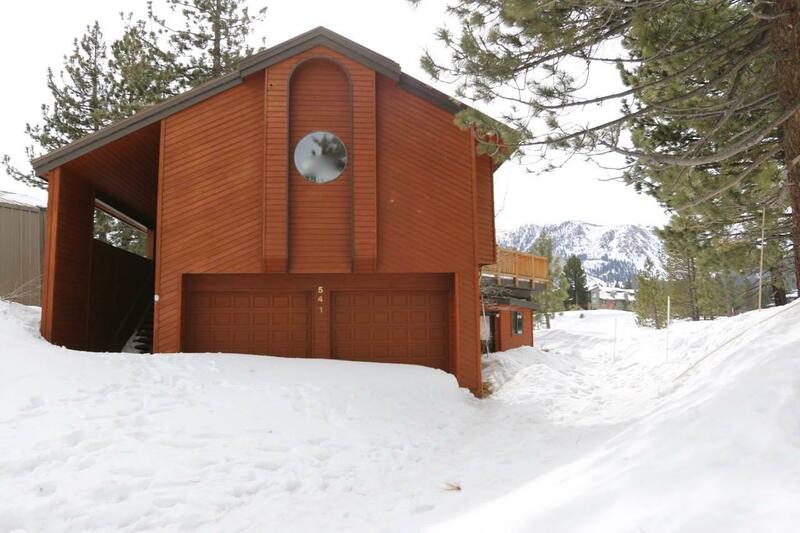 One block to the Little Eagle Area from this Mammoth Ski Home. Mountain floor plan with upper level mudroom entry, kitchen features wood cabinets, granite counters, Jenn Air stainless steel appliances, recessed lighting. Spacious Master bedroom has a walk-in closet and bathroom with two separate vanities. Open living room boasts a rock fireplace, open beam ceiling and large glass windows with views to Sherwin Mountains and Mammoth Crest. On top of it all is a loft room. Main level has two bedrooms, two bathrooms, laundry area. Large 2 car garage with lots of storage plus bonus room with separate entry. The west facing deck is a wonderful place to entertain, relax in the spa and view the night stars. This house has everything you need. Listing provided courtesy of Deanna Lantieri of Re/Max Of Mammoth.